Ask any teacher and he’ll tell you: when you’re in the classroom, nothing else matters. All of the other stuff—your flat tire, the service call for your stove, your spouse’s presentation—is relegated to the back of your brain. 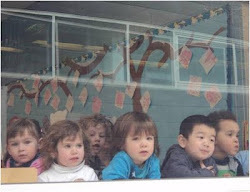 In these moments, the kids in front of you are paramount. What many do not realize is that even outside of the classroom, this kind of mentality is still partly true. No matter what a teacher does outside of school, he is always a teacher first. Ready! Set! Go! preschool teacher Susan Carton is a perfect example of that. In her private life, Susan has many artistic talents. In addition to painting and gardening, she is also a master paper-maker. In fact, Susan has created many of her own cards. (Take a peek at some of them!) Recently, she took paper making to the next level, illustrating a book made entirely out of her own, hand-made paper. Susan’s book is beautiful; her pictures filling the holes in the song that ultimately help tell a story. After all, storytelling is a favorite activity in Ready! Set! Go! Rabbi Jeffrey Holman, Director of the Judaic Studies, also loves marrying his own talents with his experience as a teacher. Formerly a computer science major, Rabbi Holman incorporates technology into his classroom on many occasions, and in completely nontraditional ways. Once, he created a video game for his students to help teach them the vocabulary of the chapter they were studying in the Torah. The student was a virtual pilot, and the only way to keep the plane up in the air was to gain more fuel—which could only be achieved by matching the correct Hebrew word to its English counterpart. And we, the school, are happier for it. As we celebrate Dr. Martin Luther King Jr. Day, leadership has been a topic in our classrooms. 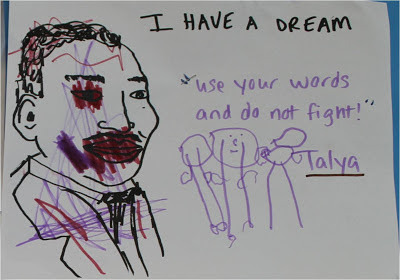 Preschoolers found that a good leader, like Dr. Martin Luther King Jr., wants to make the world a better place, and they came up with a bunch of ideas for doing that, such as such as using words and not fighting, not saying you can't play, and working to change rules that are not fair. In the course studying the settlement of Jamestown in American History class, 5th graders have been focusing on how the Virginia Company chose a leader for the settlement (and later, how the Puritans chose a leader for the Massachusetts Bay Colony) and what a difference that leader can make. Students evaluated three potential "candidates" for the position of Jamestown Governor. They had to define the four most important criteria for this position and then rate each candidate based on those criteria. Students also had to come up with a scoring system. 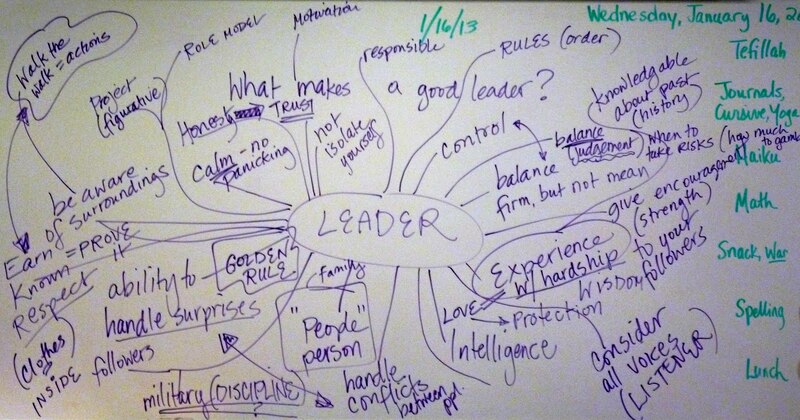 How can one measure leadership? Can it be quantified? listens to all sides of a an issue. They did disagree on some things, like whether it's important that a leader project authority and how one might do that. Some felt it was important to wear certain clothes and "look" the part; others felt that a leader who tries too hard will only undermine himself, and that a true leader lets his actions speak for him. Another source of contention was how honest a leader should be with his people. Should he reveal everything to them or withhold certain information? For instance, if the ship is about to sink, should the leader tell his people? Or is it better to keep that fate from them? Meanwhile, a 7th/8th grade Tanach class has been discussing ancient Israel's wish for a monarch and their first king's struggles with his role. King Shaul was not automatically accepted by everyone, as he shied away from the spotlight and did not assume the role of leadership and strength that a king should. Shaul finally proved himself by strategically planning for and winning a war and in the process uniting all of Bnei Yisrael. The class spent some time discussing when a person should be humble and when someone must take initiative in a role of leadership. What was Shaul's role as king, and how he did he find the balance between his humble and modest personality, and his position of leadership? 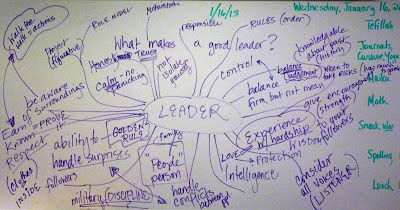 All in all, it is fascinating to contemplate the aspects and challenges of leadership by studying different leaders at different times.